One of the most enchanting palaces in Madikeri is the Raja's seat, where one can have exquisite views of the sun rise and sun net . This is called Raja's seat because the coorg Rajas were known to visit the sport together with their consorts to watch the beauty of nature. It is a fine park now. 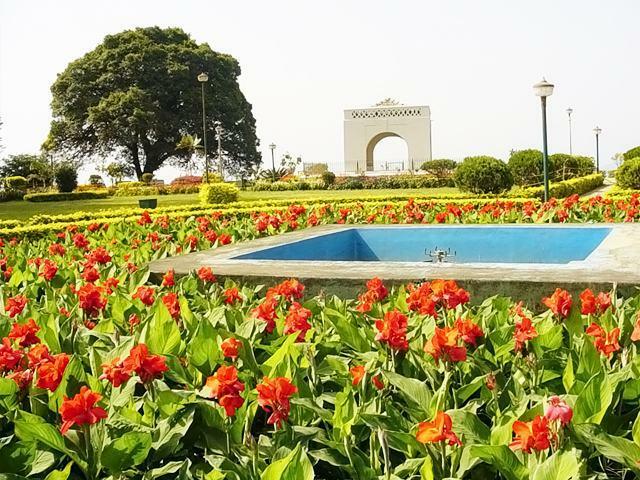 To the left on the way to Raja's seat is a pavilion where the mortal remains (ashes) of Mahatma Gandhi is kept. Hills ranges , clad in green rising up to play with silken clouds of myriad hues-that's the view form the Rajas seat which literally means "Seat of the kings". Feast your eyes on an endless expense of sun-kissed greenery. 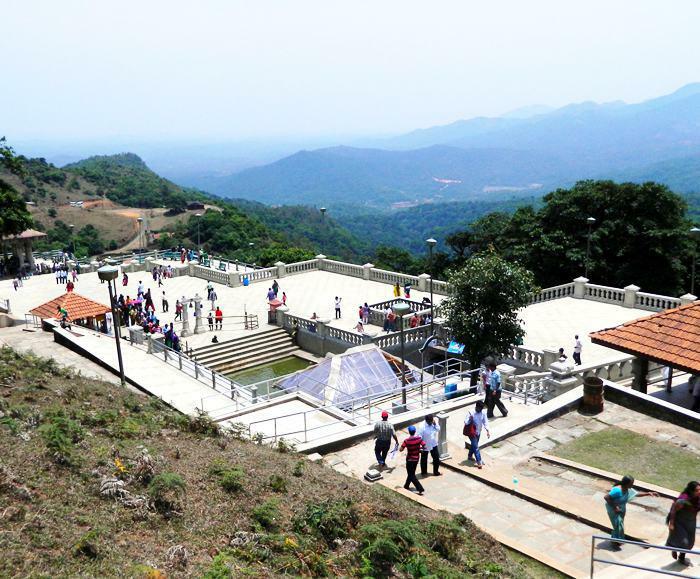 A very famous pilgrim centere, not only for the koduvas but also for all Hindus, Bhagamandala is inMadikeri taluk and can be reached from both Madikeri (29 km) and Virajpet(50km). The place is at the point confluence of river Cauvery and Kannika and a subterranean flow Sujyoti and hence known as 'Thriveni Sangam'. 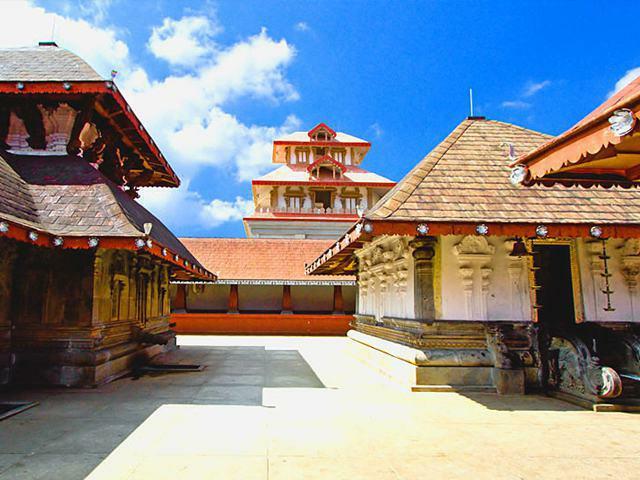 The famous Bhagamandala temple complex which is one of the most beautiful structures in kodagu districts which is located in the lush green hilly surroundings. Throught attributed to the cholas, this structure resembles Kerala architecture. It was highly patronized by king Dodda Virarajendra of Kodagu. The Linga of this temple believed to be an installation by sage Bhaganda. This place was occupied by Tipu who renamed it as 'Afzalbad' and he used the temple as a fortified place. But in 1970 Dodda Virarajendra regained this territory from Tipu. The place has a temple of Bhagandeswara (shiva) and subsidiary shrines of Subrhamanya, Mahavishnu and Ganapathi , all built with in a large prakara or enclosure. The wall ceilings and other decorative parts of the temple are filled with several hundred big and small wooden fingures, artistically wrought and tastefully painted . They include Purana episodes and figures of gods and goodness. The ceilings has a fine figures of eight Dikpalaks. All lovers of wooden art(Kshatashilpa) Must visit this wonderful place. It is open in the forenoon and also in the evenings. 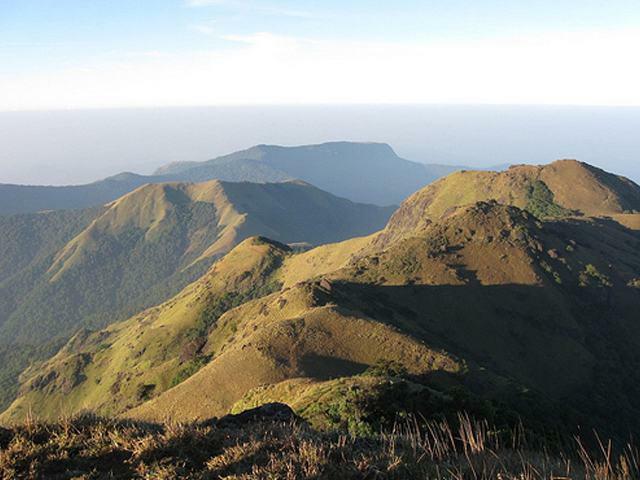 Thadiyandamol is the high peak in kodagu district in Virajpet Taluk and it is a good trekking spot. 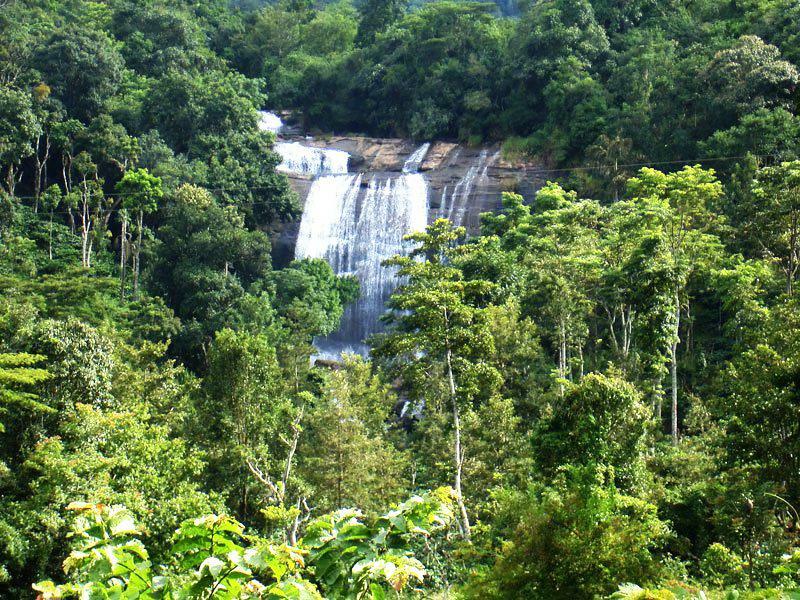 It is 45 kms from Madikeri and 3 kms from Nalkanadu Palace. 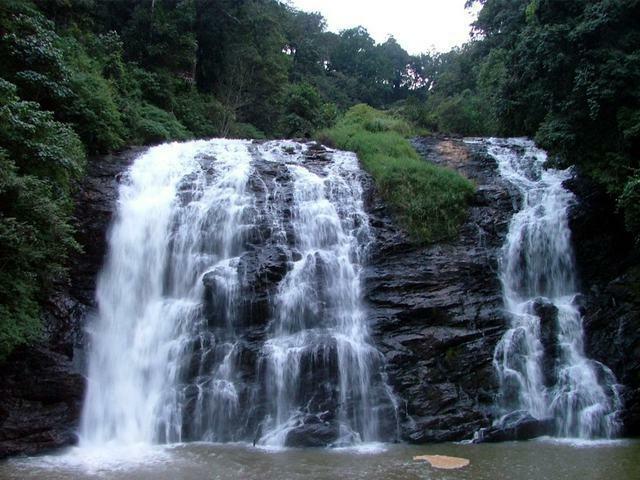 The chellavara falls, height of this falls is 50 m (160 ft ) 3 kms from Cheyyandane and 14 kms from Madikeri. This was built by Ligarajendra II in 1820. The legend behind the construction of this temple tells that this was built by the kind to get rid of sins he believed that he had committed by killing and innocent Brahmin. It is dedicated to Lord Shiva. The Shivalinga is said to have been brought from kashi and installed here. This temple is a quaint mix of Islamic and Gothic style. The gold leaf inscription atop accessed through a narrow flight of interesting steps used by the kind are all worth noticing. The annual Teppothsava or " Boat festivals" is an memorable event. An Anglican Church situated in side the fort was built in 1855 by Ror A fennel. The church which is in gothic style of architecture is a beautiful structure, decorated by stained glass Windows. This is presently under the control of State Archaeology Department. It houses various antiques of kodagu region like hero stones , images, weapons and materials of kodava life like their traditional dresses etc. On the tip of a hillock is the Nalknad Place to be approached from Kakkabe, ( in madikeri Taluk), five km from this worship, wich is to be reached via Murnad or Bhagamandala. 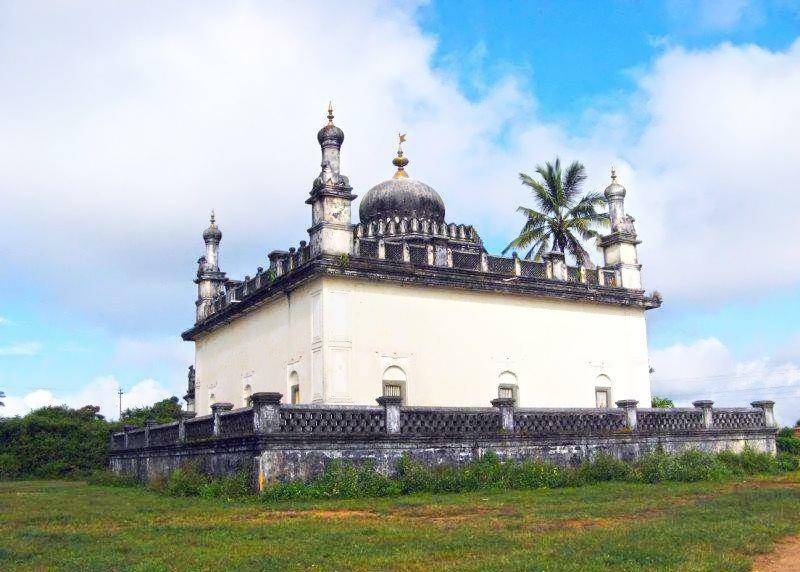 Dodda Veerarajendra built this palace in 1792 A.D at a Place which falls in the jurisdiction of the old divition of Nalknad. Veeraraja escaped from Tipu Sulthan's prison at Piriyapatna and took refuge at Kurchi village, he shifted his family to yavakapadi village in Padinalknad. Later on his hilloch surrounded by dence jungle he built this place in area at the foot of the high hill of Thadiyandamol providing safety. This palace is an elegant two storeyed structure with elaborate wooden carvings and painting decorating it. In front of the palace there is a small but elegant square mantapa , which was elected in 1796 in which the marriage of Mahadevammaji was celebrated. Behind the palace are dark rooms which ware used apparently to lodge prisoners. 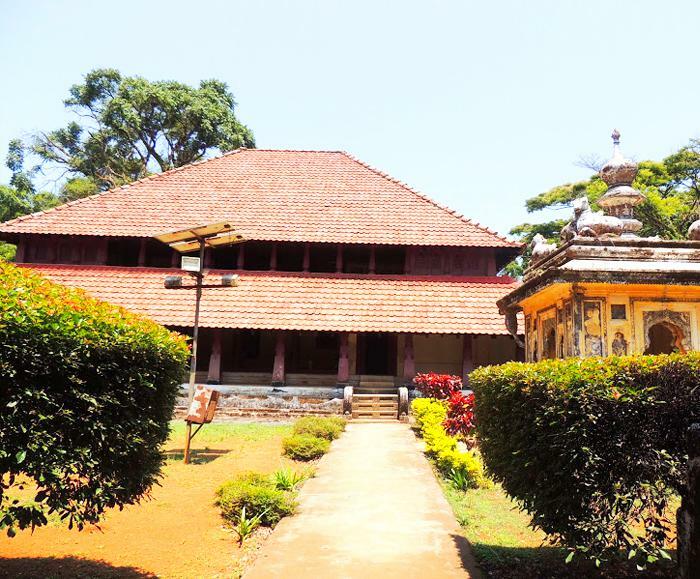 This historic building has been repaired by the Kodagu princesses who were married to Tipu. The wall paintings of the royal possession had been restored and it depicts the kind riding an elephant and is surrounded by bodyguards, orchestra and other retinue. The Gadduge is in the Indo-Sarcenic style that was popular then. 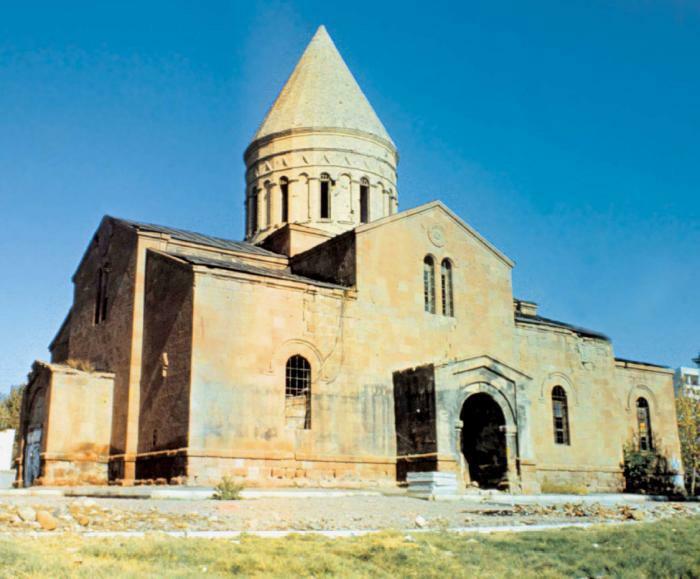 It is an impressive structure with a dome and is open in the forenoon and in the evening . There are two royal tombs in the place. In one them Veerarajendra and his wife Maha Devammaji were buried. The other tomb is that of Lingarajendra, the former's younger brother. It was built by his son Chikkaveerarajendra. There are smaller tombs of priest Rudrappa and officers like Biddanda Bopu and Somayya. 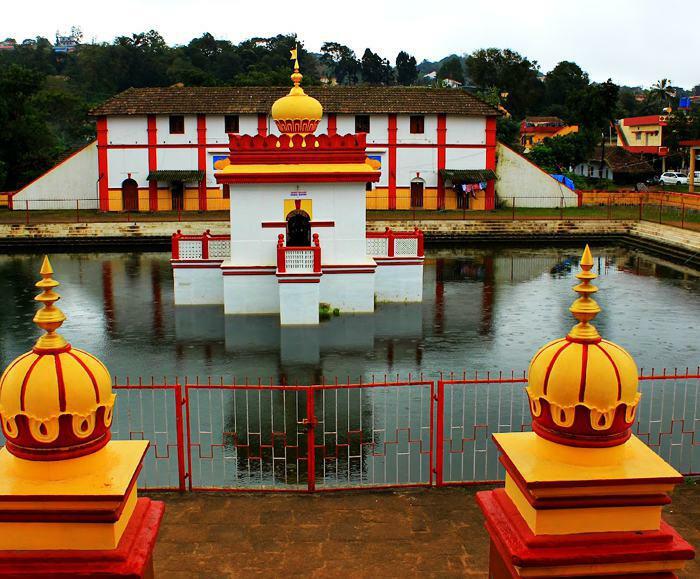 They are impressive domed structures with windows made out of bronze The best season to visit Madikeri is between the month of October and January . The day of Vijayadashami is celebrated with great pomp and show . 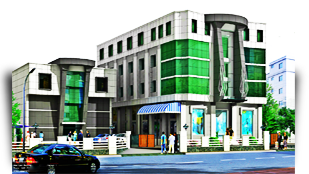 There are many travelers Bungalow, Government guesthouse and hotels . The surrounding villages have cool coffee plantations. Mahatma Gandhi had stayed at Krishnaraja Villa in Madikeri during his one day visit in the year 1934. Sharat Chandra Bose had avisit here in 1942 and he was lodged in the Macpherson Bungalow.